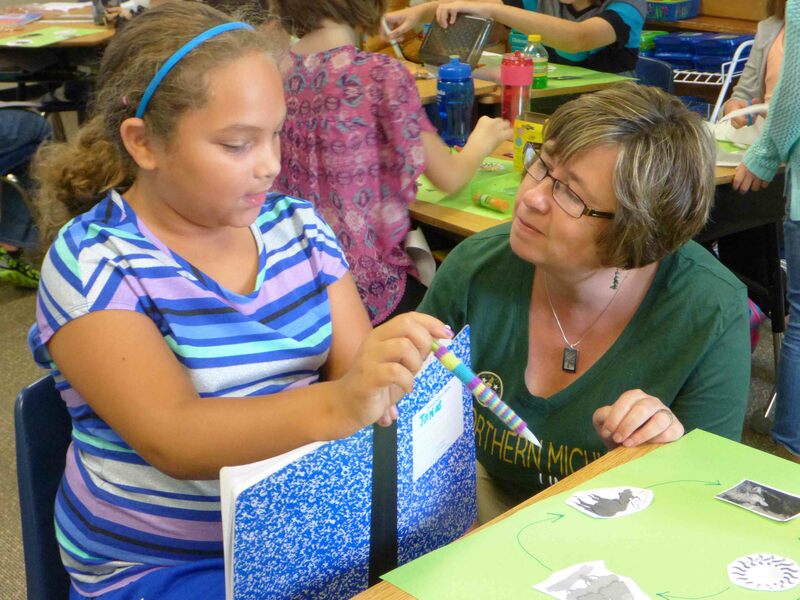 MUSKEGON, MI –There is something remarkable taking place in the third- and fourth-grade classroom at Reeths-Puffer Elementary School in Muskegon. Eight-, 9- and 10-year-old children are learning about predator-prey relationships, the food chain and the wolves on Isle Royale. The elegant and informative website was written and developed by the children at Reeths-Puffer Elementary, one of Michigan’s official Green Schools. The “green” designation is conferred when schools achieve certain environmental goals. What’s fascinating about all of this is that development of the website — and the two years of class discussion, research and writing that led to it — met many state curriculum standards. “We had kids crunching numbers and developing graphs and reading through (Isle Royale’s) moose-wolf study annual reports,” Mitchell said. 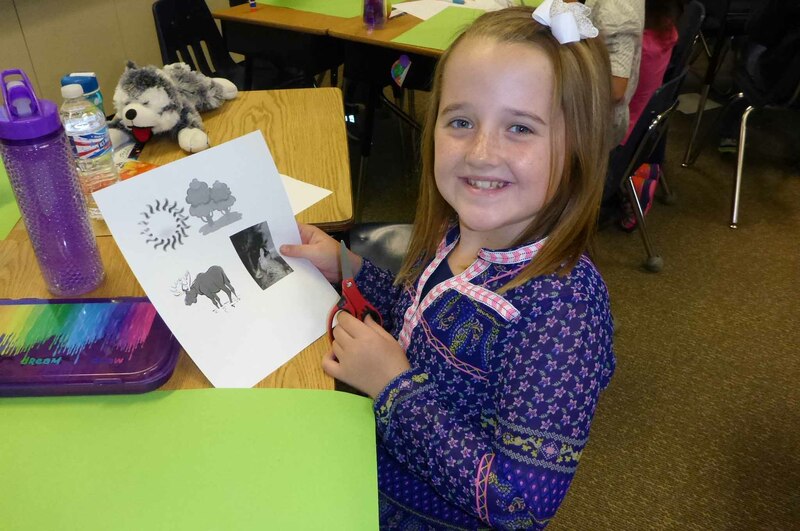 The project grew out of her students’ expressed interest to learn more about wolves after reading a National Geographic fact sheet about them. I visited Mitchell’s class last week and sat through a lesson about the food web. The children learned, among other things, the difference between herbivores (moose) and carnivores (wolves). They were animated, having been drawn in by becoming one or another part of the food web: the sun, a plant or a meat-eating or plant-eating animal. got passed to a carnivore that eats herbivores. 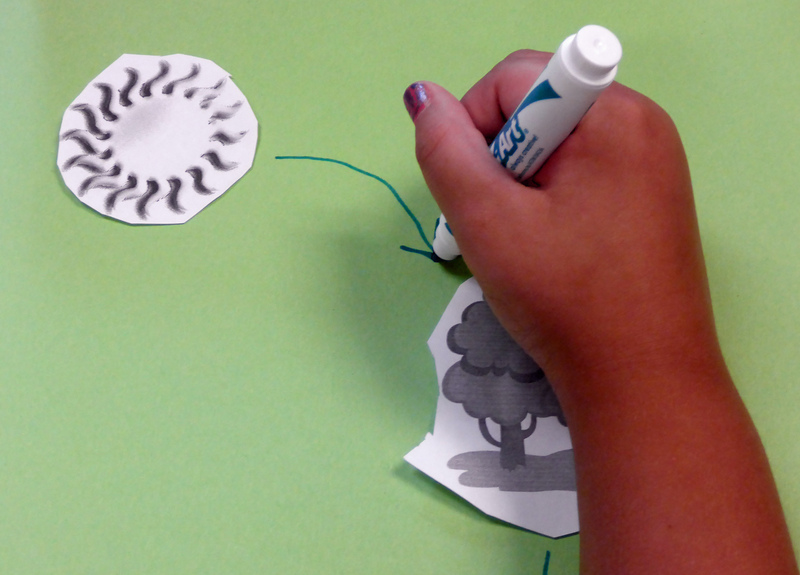 “What would happen if all the trees died?” Mitchell asked her yarn-intertwined students. “The ecosystem would get smaller,” one young girl responded without hesitation. That was just one thought-provoking question among many. Mitchell’s third- and fourth-graders have talked by phone with noted wolf expert Dr. Rolf Peterson, a research professor at Michigan Technological University who has been studying Isle Royale wolves. They wrote opinion papers on whether the National Park Service should conduct a genetic rescue of the island wolves and sent their papers to the agency. They enjoyed a Skype conversation with Yellowstone National Park wildlife biologists about wolves in the park. And, they spoke by phone with Ranger Liz Valencia at Isle Royale to confirm that their opinion papers had been read. “Danielle, a little fourth-grader, stood up and came to the phone and said, ‘We want to build a website so the whole world can see that wolves are not scary creatures. Would you host it?’” Mitchell said, illustrating her student’s depth of interest. “Project-based learning is how kids learn,” Reeths-Puffer Principal Paul Klimsza told me in the hall. “There are kids who come to school and comply and learn, no matter what. There are other kids where we have to find a way to interest them. The school has a community garden and a bird sanctuary. It is working on a local park trail project and might develop a rooftop garden. The nature and environmental projects are being funded by a $5,000 grant from the West Michigan Great Lakes Stewardship Initiative. Outside, at recess, while many kids were playing, three of Mitchell’s students — Janae Fisher, Taylor Walker and Jaklyn Grevel — excitedly showed me the garden and shared their experiences. “We planted strawberries, corn, tomatoes,” Janae said enthusiastically. “I planted marigolds,” Jaklyn added. “I liked that we got to have a garden and got to see it growing,” Taylor said with excitement in her eyes. Seeing the children myself, I am sure that’s true. What’s happening at Reeths-Puffer is an exciting development in public education. The children, teachers and administrators there all deserve kudos for a job well done. This entry was posted in Uncategorized and tagged Adventure Travel, Conservation, Fishing, Gray wolf, Isle Royale National Park, Michigan, Muskegon, National Parks, Reeths Puffer Elementary School, Wildlife, Wolf. Bookmark the permalink. We need more sound science learning in the classrooms to counter the HSUS/PETA bambi syndrome propaganda.